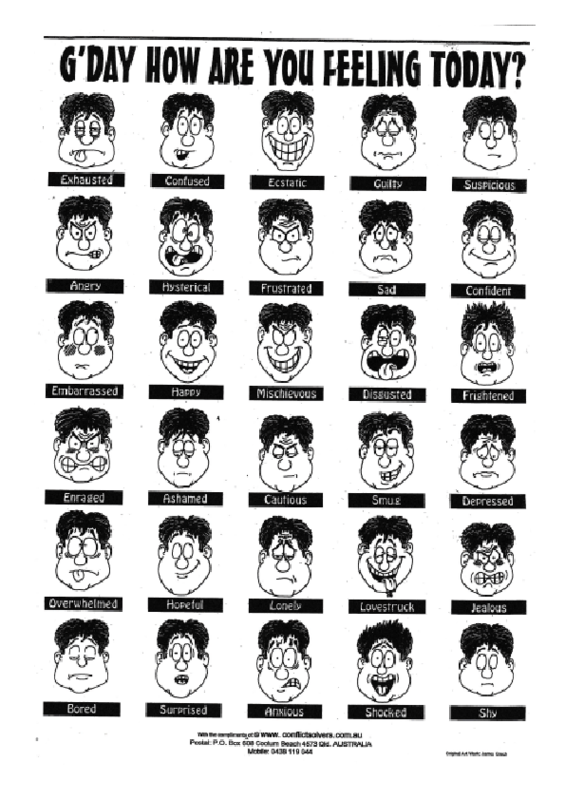 I give students the worksheet with faces/no description face up and we try to identify the feelings. 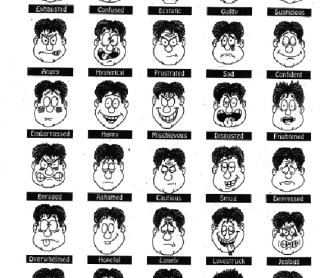 I photocopy the sheet with feelings identified on the back. We go through a number of feelings and ask each other "what makes you...?" and "Why are you....?" see page 3 for an example. You can do simple feelings/sentences like 'happy' and 'sad' with beginners and go through to 'disgusted' or 'mischievous' with advanced.